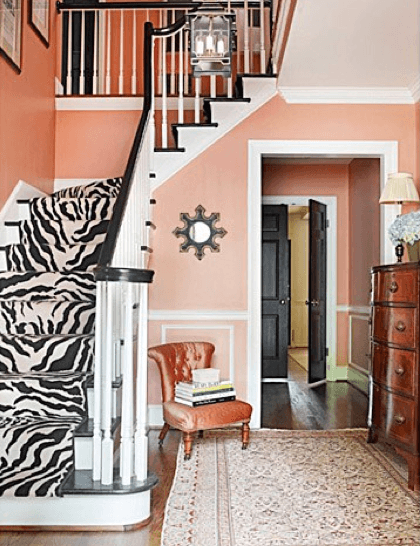 Bold colors and graphics don't need to conjure up images of shopping at Limited Too with your teenybopper or Elle Woods' dorm room, these strong choices work in almost any space. 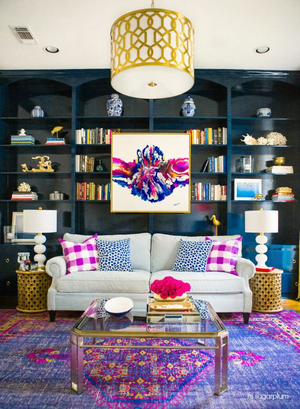 Sometimes the pattern can dictate the style, but these colors and patterns work with a traditional vibe. 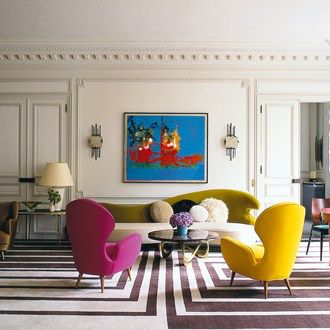 French wing chairs in a sunny yellow or a tufted sofa in hot pink look fabulous with a zebra rug and a gilded coffee table. 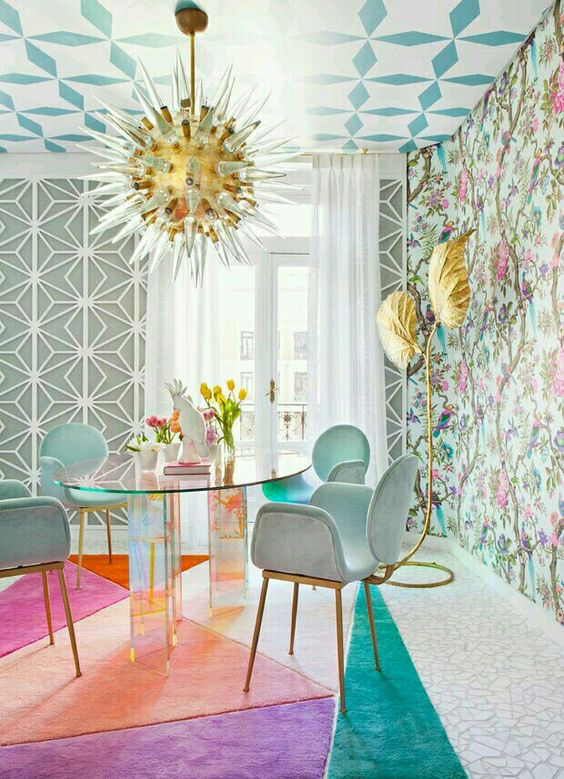 It works too with a mid-century modern vibe, a style that has never been shy with color or pattern. 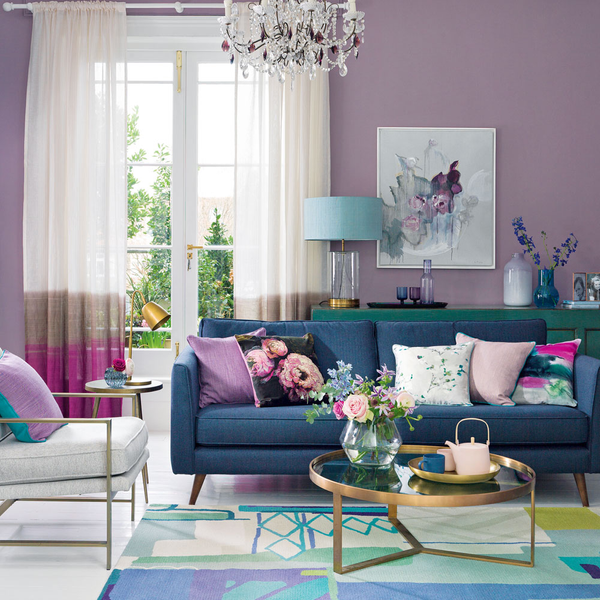 Using the bolder patterns and shades makes a space more your own. No knocks to the muted palettes, but when using a more daring mix of hue and shape, you are allowing yourself to tie in almost anything and it becomes uniquely you! 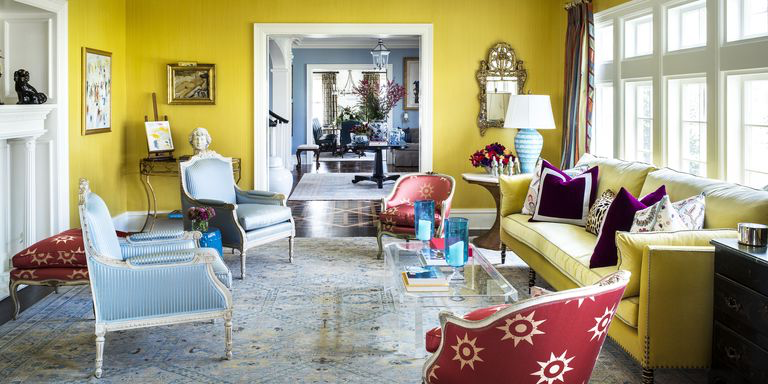 Acrylic, gold brass and banded pieces and botanicals are excellent accents to a bold space. 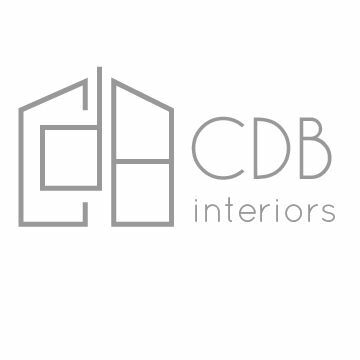 Choosing a pattern and using all the colors within said pattern help tie in everything and make decisions easier and a look very cohesive, even when you juxtapose other patterns with it. 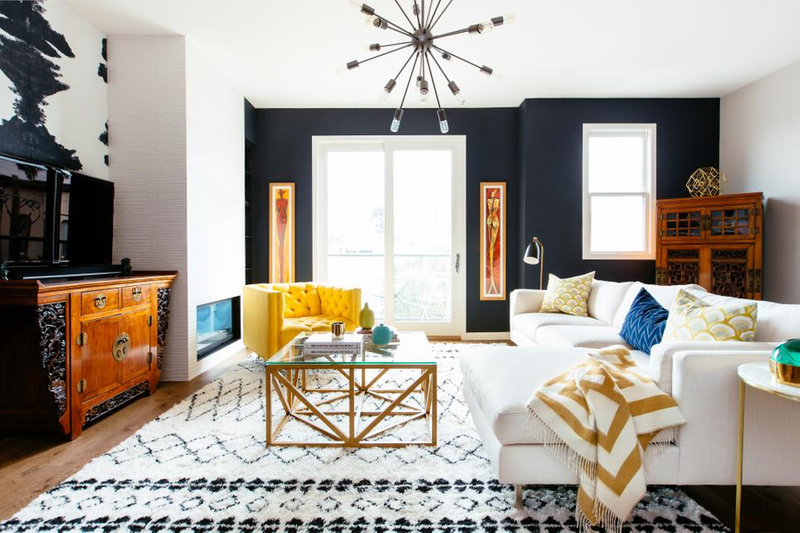 Aleviating visual clutter is important too, so keeping clean lines with furniture and design accents make the space sophisticated, rather than kitschy.